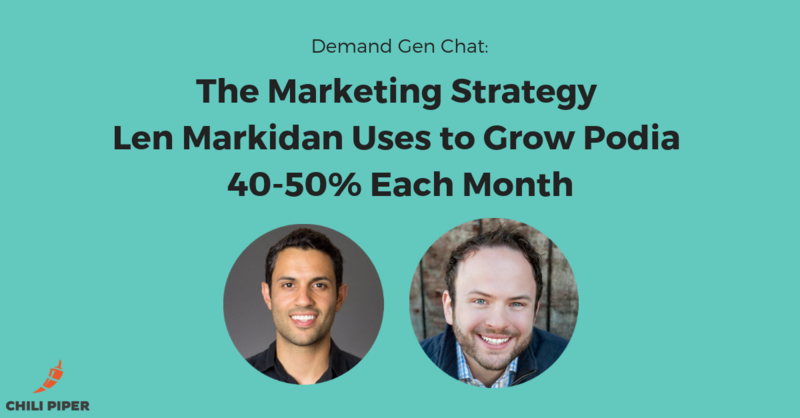 Few marketers can say they’ve helped a company grow from $0 to $500K+ MRR. Most startups don’t even make it that far, and the ones that do don’t usually have marketers that stick around to lead that growth from start to finish. But Len Markidan has done just that. And now Len is looking to replicate that magic with Podia, a platform for creators to sell online courses, membership sites and digital downloads. He’s been rising to the challenge so far by helping them grow 40-50% every month.